In case you haven't gotten your daily dose of goat today, here you goat. In the video above you will see exactly what you want to see: a goat riding a guy riding a bike in Addis Ababa, the capital city of Ethiopia. How is this goat attached to the guy? No one will ever know. But the goat looks strangely good with all of it. 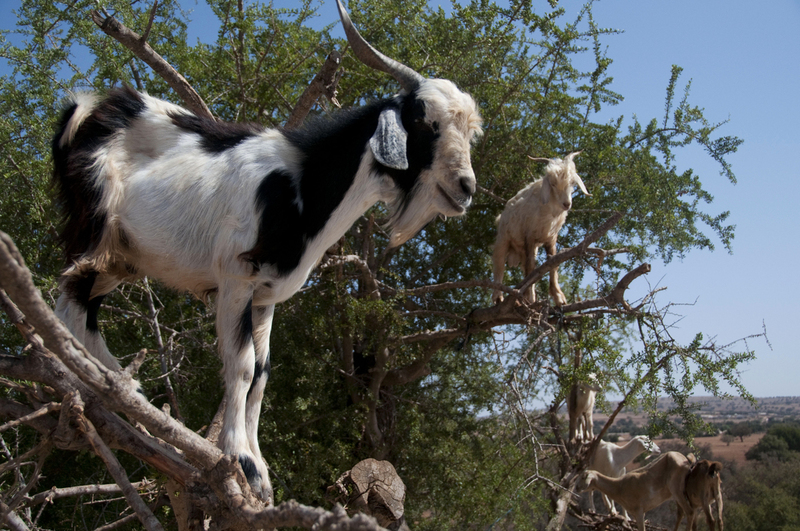 These goats are in a tree.